Ewa Beach Floral is a family-owned and locally operated business on the leeward side of Oahu, Hawaii. 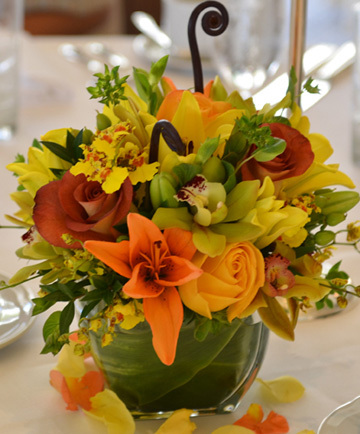 We are dedicated to offering only the freshest flowers and treat each customer as if you are our ONLY customer. Because we deal directly with you, we don't charge additional service fees, which means you pay less. We've been doing this for 13 wonderful years and we promise that your experience with us will be a pleasant one. Wedding parties have trusted Ewa Beach Floral to create beautiful expressions, perfect for indoor, outdoor and even beach weddings. We use only the freshest, exotic flowers in our beautiful and long lasting arrangements of Anthuriums, Heliconia, Orchids, Ginger and accentuating greenery. Wrist corsages, maile leis and boutonnieres are classic Hawaiian staples for any prom or formal dance that express a couples union. Ours are handmade especially for you. Let us serve your floral needs.